In Summer 2014, we restored the main stream channel (watch our video) from Main Street to Lamme, taking advantage of work carried out 45 years ago by the BHS Class of 1969. We re-created the sinuosity (i.e. the amount of meander) of a natural stream, established appropriate streambed gravels and floodplain benches of wetland sod, and added large rock on bends. The restored channel includes aesthetic waterfalls, native grasses, and trees and shrubs to provide shaded areas in which to sit, eat lunch, or just ponder. We also daylighted the creek from an 150 foot underground culvert that restricted fish passage and stream flow, and caused routine flooding along North 11th Avenue (see the infamous inner tubing video. This shouldn’t happen!) 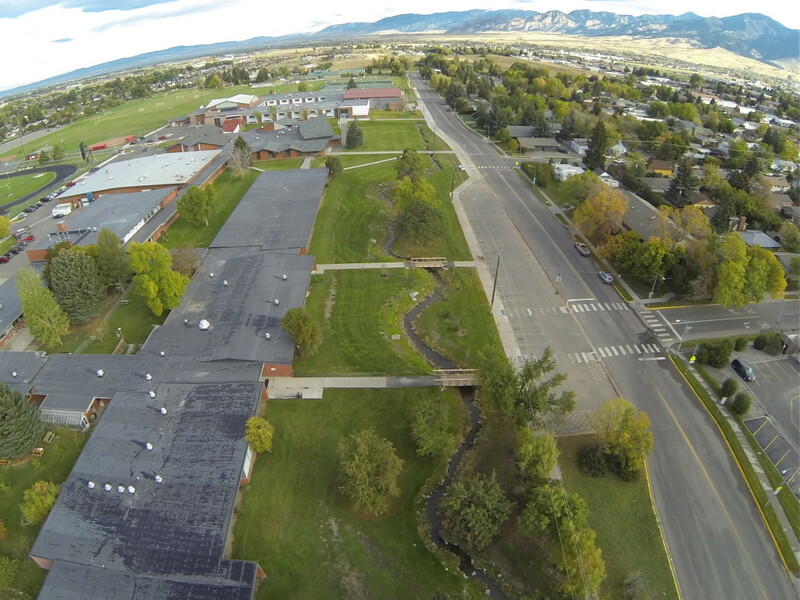 We added two pedestrian bridges as Bozeman High School entrances where the stream was freed from its former underground entombment, across from Mendenhall. Already, the restored creek has a special sense of place where just lawn and concrete existed before. In order to complete our work from Main Street to Lamme, we continued to fundraise for additional native plants landscaping and design permanent bridges and outdoor classrooms to support student use. These improvements will be installed following Phase 2 of the restoration, re-meandering the channel nearly all the way to Durston Road in 2019. We continue to seek private donations to sponsor seating benches, boulders, and other above-ground features. Initiated in Summer 2015, Phase 2 continues the restoration from Lamme to Durston along North 11th Avenue in order to offer an enhanced sense of arrival at the High School’s new entryway. In the previously unadorned expanse from Lamme to Beall, we restored the meander of a natural stream and added boulders, riparian and upland plantings in order to create shade and overhangs (see slideshow). The rejuvenated area showcases our mountain environment and serves as an Arboretum of Montana for education and enjoyment. In Summer 2019, we will continue stream restoration and landscaping activities downstream along the remaining extent of the BHS campus, from the BHS Front Entrance to Durston. Near the front entrance, where the creek has less room to wander, we will use plantings and large rock to cool the water for inhabitants and provide cover for other riparian users, especially songbirds as we beautify the area for all. Downstream, the restoration will be in the vein of the photos above, with a new channel and riparian vegetation to restore the stream’s integrity, along with upland trees, shrubs and perennials for people and habitat alike. 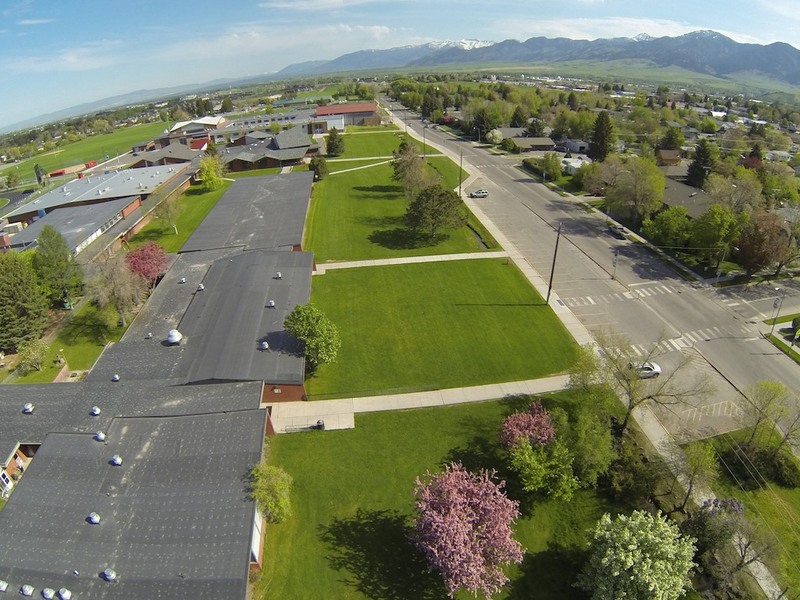 Further, we expect to work with the City of Bozeman to plant and nurture boulevard trees, in order to greatly improve the pedestrian and visual experience of the area for our community. 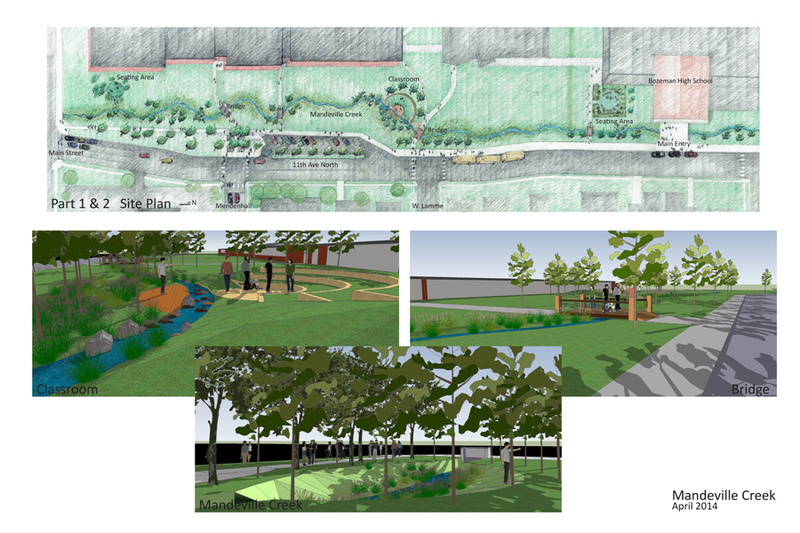 Phase 3 is the addition of an outdoor classroom and other seating areas in order to create pocket parks in harmony with the meandering creek. In 2020, we will add an amphitheater-style outdoor classroom to enable regular student use of the restoration and its features. The focal classroom will feature a benched amphitheater sloping down to the creek in front of the old library and future BHS auditorium (see Phase 2, 2015 restoration). The creek will be front and center, as the classroom is expected to host student research in biology and other disciplines. A math teacher has requested the addition of fixed points, to allow for various calculations. 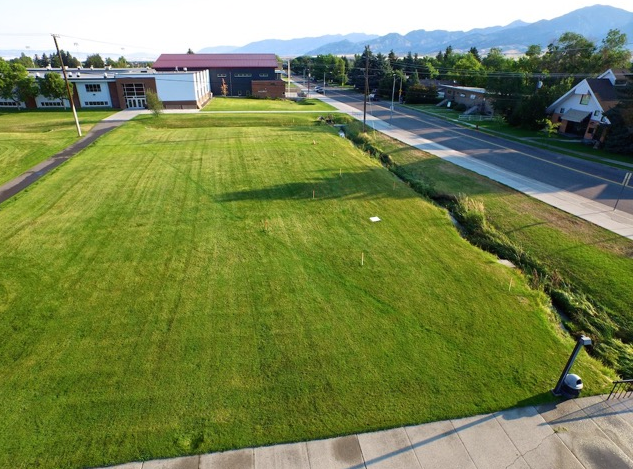 A second classroom (proposed, future) near the BHS front entrance would further enhance the school’s appearance and provide ready access for a range of classes and events. 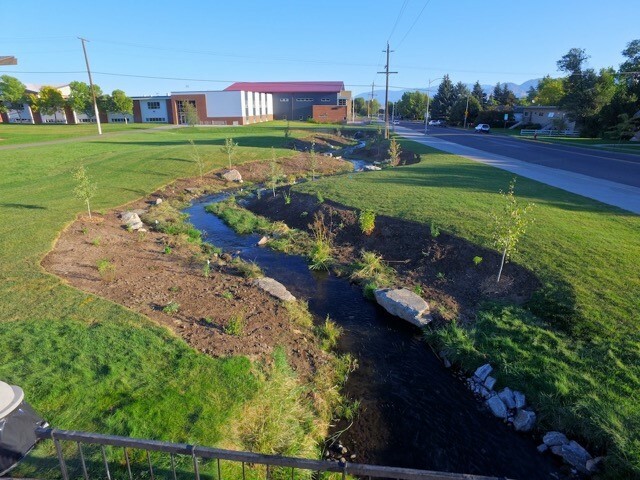 Beyond classrooms, we hope benches and boulders and native plants landscaping will be added along the length of the creek, providing seating areas and functioning as pocket parks for all to enjoy!